Early Access Stuff is AWESOME! Hello folks, and welcome to my Space Game Holiday Early Access Buying Guide for the holiday season of 2014! Unlike the guide to complete games, this one covers early access titles that aren’t yet finished. This means I had to make the — honestly, rather tough — call as to determine which games were “finished enough” to be worthy of your gaming dollar. There are tons of other early access space games out there — THANK GOD, seriously — but a lot of them are not yet to a state that I could recommend yet. Not unless you’re as into early access as I am, but that’s a whole different list. ;) This list covers games that have enough game in them that anyone could enjoy them, and all the games here have gotten some play time by me, so I’m speaking from experience. :) Now with that said, let’s get onto it! You wanna climb into a spaceship and get out there among the stars. Even early access games have you covered! 2. Paragon (Official Site, Steam, Desura) – If you’re looking for a solid Elite clone, this game will definitely fit the bill. It’s still pretty early, and it’s missing a lot of content but even with that said, there’s still plenty to do. I’ve been having a blast just running missions back and forth between systems. It’s a lovely looking game with plenty to offer, yet is also more accessible than other Elite clones, which why it earns a spot on my list, even though it’s a paid fork of a free game. 3. Rodina (Official Site, Steam) – This is an excellent game focused on discovery and exploration. You can not only walk around your own ship, but land on planets and asteroids as well. There’s also an overarching story in which you have to save humanity and yadda yadda, but that’s secondary to the feeling of discovery and exploration found in this game. Definitely a fun time. 1. Distant Star: Revenant Fleet (Official Site, Steam) – I covered this game recently, and it had exceptional real-time strategy style combat, which made it a lot of fun. The building aspect usually found in RTS games happens in-between missions, wherein you use your found salvage to purchase new ships. Right now there’s only one sector to play, so the game is over pretty quickly, but more sectors are planned, and it’s going for such a low price right now that I can’t help but recommend it. 1. 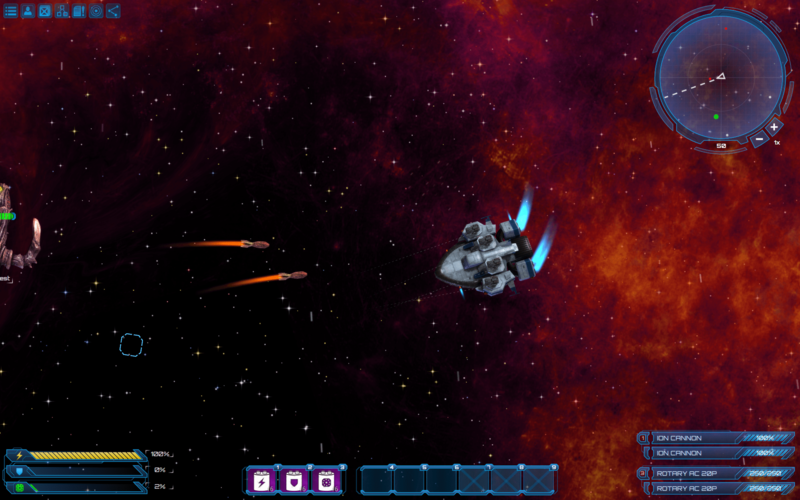 Beyond Beyaan (Desura)- Remember what I said about trying to be Master of Orion 2? Well this game is not only trying, but succeeding. Not only that, but you can tweak the game to your heart’s content, so it can play more like the original Master of Orion, for example. This game is totally free too! 3. Apollo4x (GamersGate)- The only game in this category that costs money, but don’t let that deter you. Apollo4x is also something new and different in this space: An economically-focused 4X rather than an imperially focused. This results in making completely different types of choices in this game than you might in other games, as you have to worry about corporations, trade and so on rather than exploring or colonizing. 1. VoidExpanse (Official Store)- This is a very fun and accessible third person RPG with an intriguing control system that I really enjoy. The graphics are fun and vibrant, the ship designs are asymmetrical and fantastic, and the gameplay itself is a fun mix of side quests, story missions, pirate hunting, mining and so on. It’s also about to come on Steam soon, so be sure to check it out when it does. 2. Drifter (Official Site, Steam) – The RPG elements in this one are fairly light (and if I recall, seem mostly factionally-based in how various factions react to your behavior) but don’t let that deter you at all. The combat is a blast, the procedural universe and missions, even at this still-early stage, are a blast, and there’s plenty to see and do. 1. Cosmonautica (Official Site, Steam, Gamesrocket) – This is a mix of FTL and The Sims, and it’s, in my opinion, better than both. It’s got a lot of style and color, very intriguing systems, fun gameplay and great writing. It’s also very easy to kill your crew, as it should be in a roguelike, but a long-lasting crew takes careful planning, also as it should be. This is definitely one to keep an eye out for in the coming sales. 2. Interstellaria (Official Site) – This game is a mix of FTL and Starflight, and takes the best of both games and merges them into an amazing whole. From custom ship designs to fun away missions, there is plenty to do in this game, and also plenty of ways to die, again as it should be. EDIT: Apparently while you CAN purchase this game right now, you don’t get an early access copy. I’m gonna leave this here because I still feel it’s worth purchasing, but yeah, just FYI. Thanks spookyy2! This section covers games that don’t quiiiiite fall into any other category. 2. Habitat (Steam, Humble) – This is a fun game about assembling pieces of junk into weapons platforms and surviving in near Earth orbit. It’s a fun game, even at this early stage, because the things you can play with are hilarious. Wanna make a laser platform with cyborg heads of Lady Liberty? Go for it! Wanna grab some garbage with your robotic arm and throw it at your enemies? Have fun! I can’t wait to see the carnage unfold as the game adds more content. 3. StarSector (Official Site) – This one is undergoing a very slow, yet deliberate, development schedule, so it might be months or so between updates. That said, this game is coming along nicely, as it has both an Escape Velocity style campaign mode, but when the game switched to combat, it’s real-time tactical goodness. This game is really shaping up nicely, so it’s definitely worth and space game fan’s time. That’s it! I hope you’ve enjoyed this list as to the best early access to keep an eye on this holiday sale season! Thanks for reading, and happy shopping!! If I may, let me also mention Fractured Space, which just entered early access. Team-based capital ship content, it’s a little shaky right now on the technical end, but even at this early stage it’s fun to drive giant ships around and make them go pewpewpew at each other. I’ve not played it yet, as it juuuuust came out. Have you had a chance to dive in? Well, IIRC, not all, or even most, of the content was in there last I played. Has this changed? I just saw Elite Dangerous on EP Daily and it’s definitely got my attention. What, my multitude of videos didn’t do it? Some EP Daily folks, who you don’t even KNOW PERSONALLY FOR OVER A DECADE, pushed you over the edge? That’s fine with me, I don’t mind starting on a level playing field. So what happened, did this game kick your puppy or something? CRAZY PERSON ALERT. CRAZY PERSON ALERT. You cannot both like space games and dislike Elite 4. It’s like, to quote the late, magnificent Sam Kinison, “Christians against Christ.”. Elite 4 is the space game we have all wanted forever. Novascotia_75 reeks of a grinding axe.